Minoxidil is available from the Belgravia Centre by visiting the centre for a free consultation or completing an online consultation form for Belgravia’s world-wide mail-order service. Another theory is that topical Minoxidil induces a significant increase in DNA synthesis in hair follicle cells. Minoxidil is a stable and inactive drug. When applied to the scalp and absorbed into the skin Minoxidil is converted to an active, unstable product called ‘Minoxidil Sulphite’. Our body produces a catalyst called sulfonyl transferase that converts the inactive Minoxidil into the unstable active Minoxidil Sulphite. Minoxidil sulphite activates potassium channels in cells and this is thought to lead to hair growth. Whilst there is no conclusive evidence as to why Minoxidil encourages hair growth, the fact is that it does, be it to varying degrees. The aim of MPG within hair loss treatments is to help prevent dihydrotestosterone (or ‘DHT’ – which is the product in the body that causes genetic hair loss) from destroying the hair follicles. The aim of Azelaic Acid is similar to that of MPG – to help reduce the amount of DHT that reaches the hair follicles by inhibiting the formation of 5-alpha reductase. 5-alpha reductase is the enzyme that combines with testosterone to form dihydrotestosterone, which in turn causes genetic hair loss. BioComplex was exclusively developed by Belgravia hair loss specialists and features optimal doses of three key nutrients known to help maintain normal healthy hair growth. These are biotin (also known as vitamin B7 or vitamin H), zinc and selenium. Caffeine – Why Might Caffeine Help Prevent Hair Loss? Studies have shown that caffeine could be an effective blocker of the DHT hormone locally around hair follicles. In one particular lab study, hair follicles were removed from balding men and exposed to testosterone. Some were also exposed to caffeine. The hair growth from follicles exposed to testosterone was significantly reduced (as is the case with follicles affected by Male Pattern Hair Loss) whereas not only did caffeine seem to prevent testosterone from negatively affecting hair growth, but it also stimulated growth of the hair. A combination treatment course, inclusive of minoxidil and other treatments, will result in hair regrowth for most hair loss sufferers. Belgravia hair loss specialists have found that whilst minoxidil can help reduce hair loss and boost hair growth, the degree of success will often depend on using the best type for your specific level and pattern of shedding. Belgravia offers a number of minoxidil products. Please contact the centre for more information on these, or to arrange a free consultation. Belgravia also offers other clinically proven medications that can be combined with minoxidil to ensure optimum levels of hair regrowth. 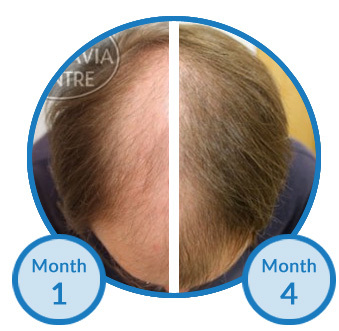 You can view our hair loss success stories (the largest collection of their kind in the world – updated on a daily basis) to get an idea of the kind of results patients see from the use of Belgravia’s treatment programmes. Find out about the clinically proven treatments for hair loss. A Belgravia hair loss treatment course will be tailored with a number of hair growth boosters to suit the individual hair loss sufferer. Find out about treatment course boosters and how a Belgravia hair loss treatment course ensures the highest likelihood of hair re-growth. Like most other drugs there can be side effects from the use of Minoxidil. Side effects from Minoxidil are unlikely and are usually mild. Some of the possible side effects are increased facial hair growth, headaches, rashes and palpitations. 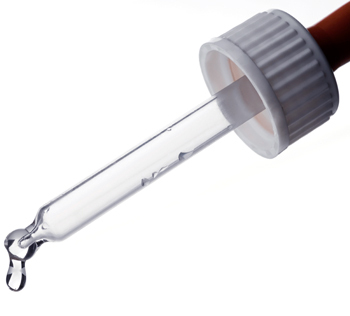 Side effects should diminish in a short time during use of Minoxidil or shortly after stopping Minoxidil. Higher doses of minoxidil will increase the chances of side effects. For full details of minoxidil side effects please click here.